You'll be £14.99 closer to your next £10.00 credit when you purchase ShipCraft 24: Japanese Battleships: Fuso & Ise Classes. What's this? 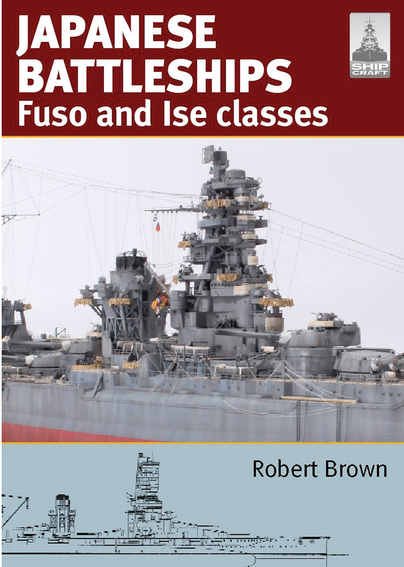 The operational activity and the technical description (with many beautiful photographs and nineteen profiles due to the skilled hand of George Richardson, also author of the two color profiles) open and conclude the book, making of “Japanese Battleships - Fuso and Ise classes” an excellent starting point for further studies. The tables, precise and detailed, report the technical data of the various ships at commissioning and after their modernization between the Twenties and the Second World War. This is definitely one of the best books in the ‘ShipCraft’ series, and is to be recommended both to modellers and to those interested in the big ships of the Imperial Japanese Navy. Robert Brown has done an excellent job showing what is available to construct these classes of battleships. With the inclusion of B & W photographs of the actual vessels, it makes the book a first class reference for these ship classes. This is a book that I highly recommend to other modellers and history buffs. The brief history, details of changes in appearance, and scale plans alone would make Brown’s book a terrific reference for modelers. The inclusion of a survey of available kits and accessories make it indispensible. The gallery of models is just icing on the cake. Pagoda-style structures were a distinguishing feature of Imperial Japanese Navy battleships, and none were as extravagant as those on the Fuso and Ise-class vessels. Originally planned during World War One as a single rank of four hulls, the first two (Fuso and Yamashio) differed from the final pair (Ise and Hyuga), regarded as a separate class. Their development, careers and fates are described, combined with good contemporary images, intermingled with artist's impression to highlight differing configurations. Notably, as US Navy airpower devastated Japan's carriers, both Ise-class units would be converted into hybrid carriers battleships, although this was merely a prelude to further modification. Kits and accessory reviews are provided for both classes, from 1/1250 to 1/144 scales (although the latter is just a main twin-gun turret). Almost a third of the book is then devoted to modelling, with examples from a variety of renowned maritime builders, in full hull and waterline configurations, all adorned with scratch-built or after-market detail. Finally, the upgrades and modifications carried out on each vessel during their careers are described in depth, supplemented by superb scale drawings.